The Memorial. Portrait of a Family. Revelation Saint John the Divine. 1932 - Wood engraved title page along with 41 wood engravings, 13 full page, by Blair Hughes-Stanton. Number 72 of 250 copies. 4to. 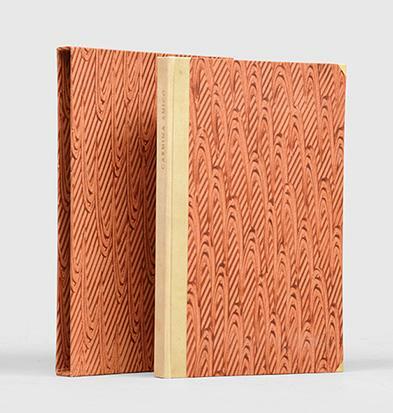 Full red hermitage calf by the Gregynog Bindery,title and device in blind on upper cover and spine, printed on Japanese vellum. Good, corners and edges slightly rubbed, bottom edge of the upper cover bumped, spine slightly faded. Lacking slipcase. Luzerner Bilderchronik 1513. Zur VI. Jahrhundertfeier des Eintrittes Luzerns in den Bund der Eidgenossen. Ed. 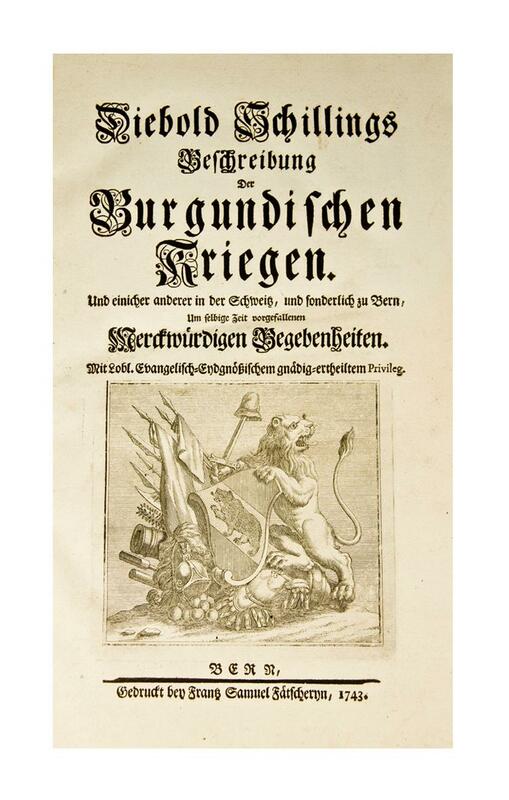 for the commune of Lucerne by Robert Durrer and Paul Hilber. SALPETERSÄURE - Zum 60. Geburtstage von A. R. Frank. Von diesem Buch wurden fünfzig Stück als Manuskript gedruckt. EOS Presse., Piesteritz - Bz. Halle, 1932 - Dieses Buch wurde aus der Tiemann-Mediaeval der Schriftgießerei Gebr. Klingspor, Offenbach am Main handgesetzt und auf handgeschöpft Zerkall-Bütten gedruckt. 85 S. 1050g. Sprache: de Rückenbereich äußerl. etwas stockfleckig, kl. Bereibungen, Textbereich sauber. LAS MIL Y UNA NOCHES: PRIMERA Y SEGUNDA SERIE. 2 Tomos. (OFFICINA BODONI.) JAMES, Edward Frank Willis. Verona: Privately printed [Officina Bodoni],, 1932. 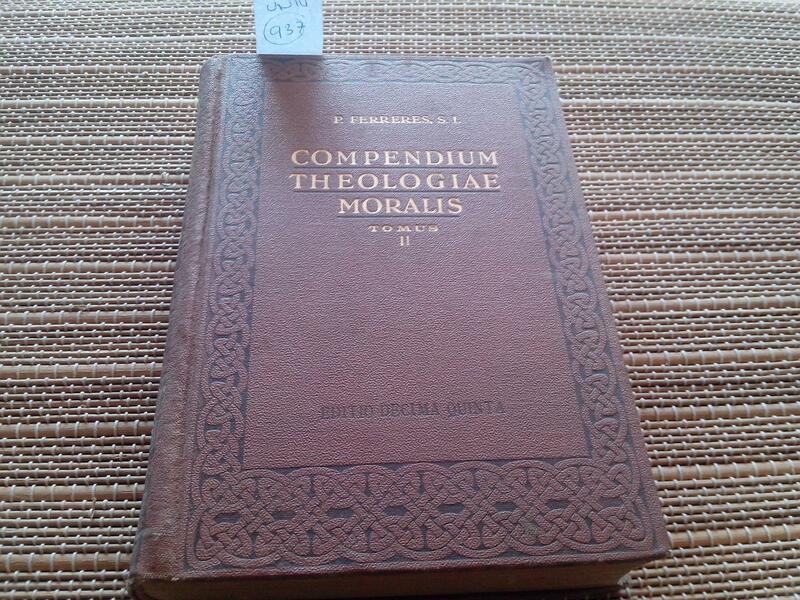 Opus Quintum. Octavo. Original quarter vellum, spine lettered in gilt, marbled sides. In the marbled slipcase as issued. Very slight markings to vellum, initial and final leaves slightly foxed. An excellent copy. Limited edition, number 97 of 100 copies. 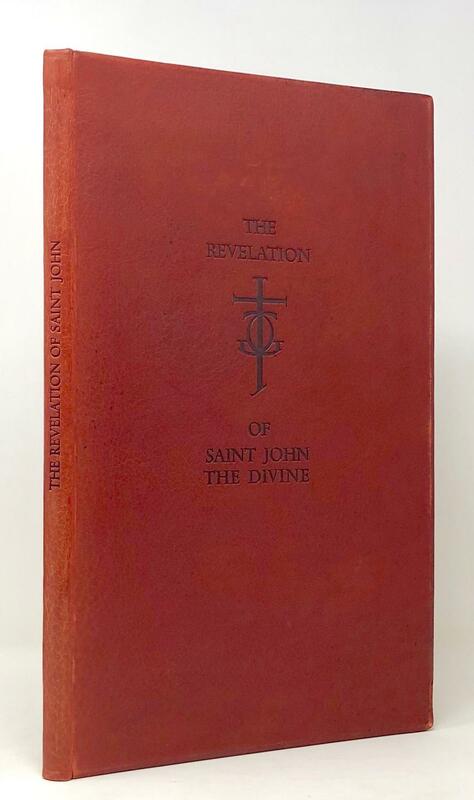 This is one of 50 copies on Lafuma paper bound in half-vellum; an additional 50 copies were printed on Montval paper and bound in full vellum. The book comprises a collection of homosexual love poetry by the eccentric writer and art lover Edward Frank Willis James (19071984), known for his long-term patronage of Salvador Dali and for launching the career of ballet choreographer George Balanchine. OFFICINA BODONI.) 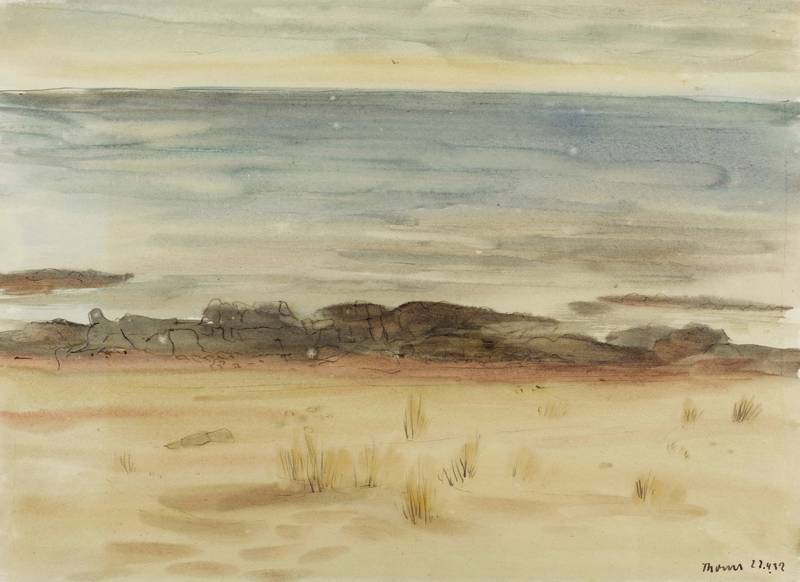 JAMES, Edward Frank Willis. Verona: Privately printed [Officina Bodoni], 1932 - Octavo. Original quarter vellum, spine lettered in gilt, marbled sides. In the marbled slipcase as issued. Very slight markings to vellum, initial and final leaves slightly foxed. An excellent copy. Limited edition, number 97 of 100 copies. This is one of 50 copies on Lafuma paper bound in half-vellum; an additional 50 copies were printed on Montval paper and bound in full vellum. The book comprises a collection of homosexual love poetry by the eccentric writer and art lover Edward Frank Willis James (1907&#150;1984), known for his long-term patronage of Salvador Dali and for launching the career of ballet choreographer George Balanchine. London: William Heinemann Ltd.,, 1932. Octavo. Original yellow cloth, multi-coloured lettering printed on spine and boards (black, red and blue). With the clear acetate jacket. Housed in a custom brown quarter morocco slipcase with raised bands and a chemise, both by James MacDonald of New York City. Frontispiece and 22 black and white plates. A fine copy in the dust jacket with paper flaps intact as issued. First edition, first impression, with the acetate jacket complete and in exceptional condition. First performed 13 October 1931, this play served as the basis for the classic 1933 film, which won three Academy Awards. Coffee Shop Furniture 2. Furniture Photo Assembly 13. Kafe no kagu 2. 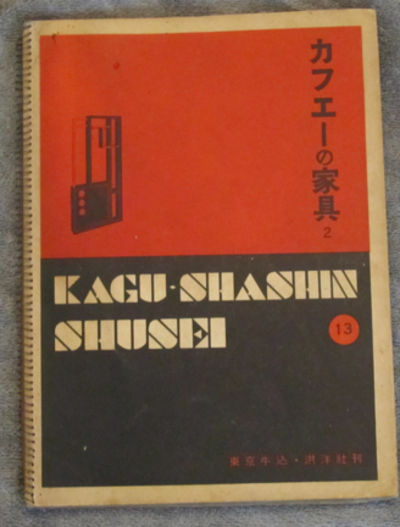 Kagu shashin shusei. カフェーの家具 2. 家具写真集成. Tokyo: Koyosha, 1932 2 p. of text, 20 leaves of b/w photos, 10 x 7 1/2 in., Japanese, paperback w/ metal spiral binding.A series of books on modern Japanese furniture. The volumes show coffee shop furniture are the most desirable of this series. They show true Japanese Art Deco furniture and textiles. No copies in libraries outside of Japan. [HOSTILITIES IN SHANGHAI IN 1932]. 1932. 253 snapshots most held in place by photo corners, 22 black card leaves, 5 are loose. Some photographs and leaves are missing in the early section of the album though fortunately these seem likely to have held more personal images judging by those that immediately follow. The covers of the album missing. One photograph is torn in two but the others are all in good condition. A very interesting album which opens with photographs reflecting European life in China in the 1930s. Domestic scenes, snapshots taken at leisure - on board a yacht, hunting, at the races and while viewing the "Pagodas up Country' etc. Six photographs show the arrival of an aeroplane at the race course and an assembled crowd of people including uniformed servicemen to meet it. What makes this album unusual and particularly interesting are the 145 photographs which show hostilities in Shanghai in 1932. This second part of the album is serious in nature with many photographs of corpses, the bombing of Shanghai from a distance, close up images of devastation caused, fighting in the street, barricades, and other images grimly portrait the city grimly at war. Many of the images were taken within the Shanghai International settlement. (When referring to this item please quote stockid 159540). London: Chapman and Hall, 1932. 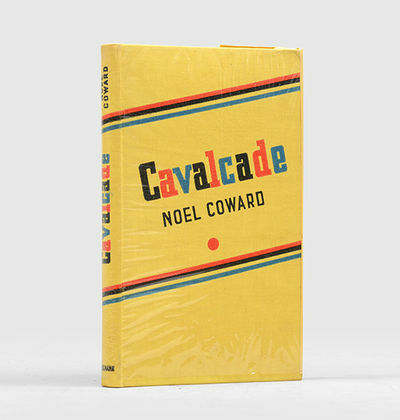 FIRST EDITION, with proof state dust-jacket. Octavo (19 x 13cm), pp.303 . In publisher's snakeskin-patterned red and black cloth with gilt titles to spine. With publisher's PROOF STATE cream dust-jacket, with a blank rear flap and no price marked to the front flap.Edges heavily spotted; slight reading lean. Spine lightly sunned. Jacket is slightly discoloured with some minor chips and closed tears to edges. Very good. Waugh's third novel is a controversial book which established him as a master satirist. Set on the fictional African island of Azania, 'Black Mischief' is a thinly veiled reference to the then empire of Abyssinia, now Ethiopia. The novel chronicles the efforts of the English-educated Emperor Seth, assisted by a fellow Oxford graduate (Waugh's recurring character) Basil Seal, to modernize his Empire. 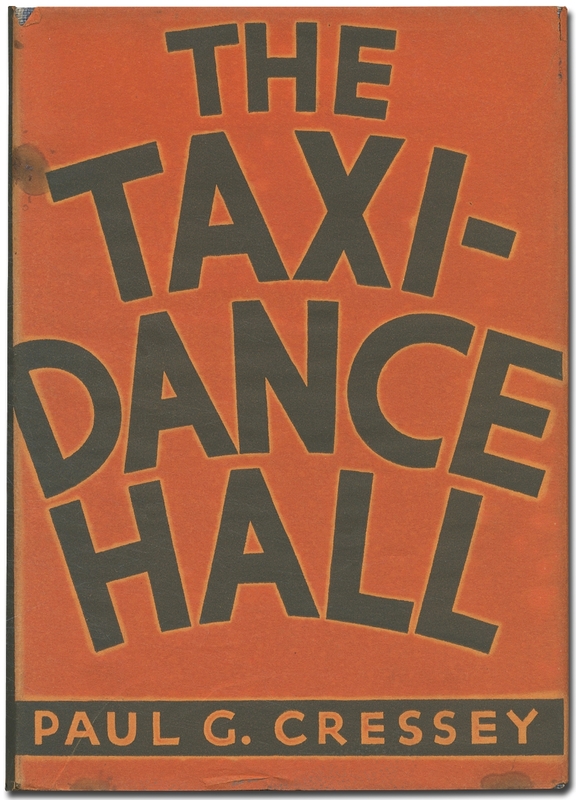 London: Jonathan Cape, 1932. First. Hard Cover. Yes. 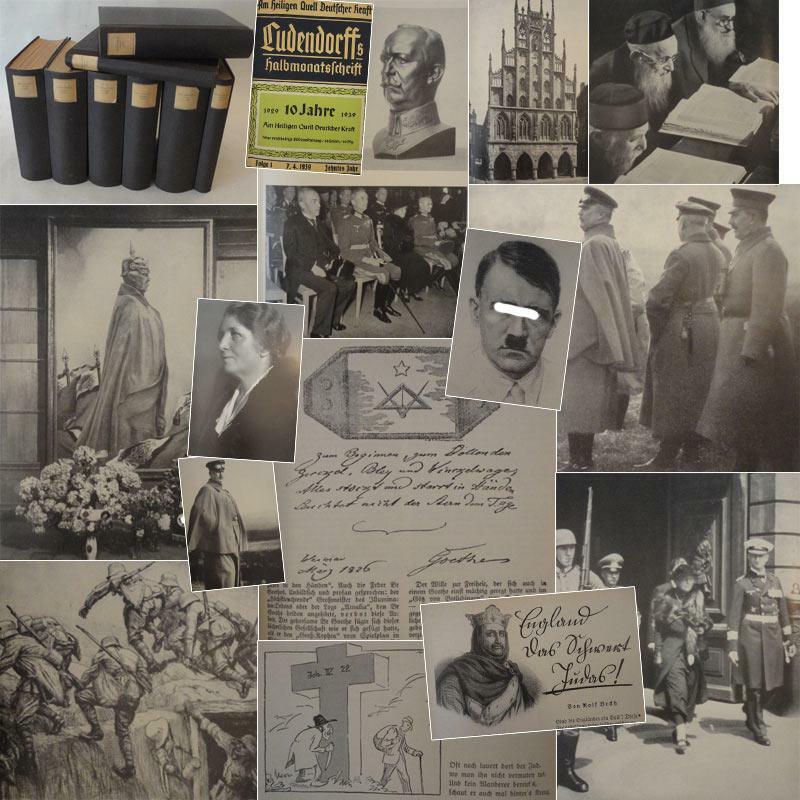 First U.K. edition in rust brown cloth lettered in black; color frontispiece from a painting "The Bullfighter" by Juan Gris; illustrated with 81 photographs. About very good, bumping to the spine ends and light soiling to the cloth; light offsetting to the endpapers and light foxing to the preliminaries as is apparently usual. In the boldly designed red, black and yellow dust jacket with price of "30s net" lower corner of the front flap (presumed second issue). Rubbed at all folds, , clear tape repair lower front corner, wear at the spine ends. Serious inquirers are invited to request scans. San Francisco: James H. Hjul, Structural Engineer, January - February, 1932.(). Original pencil drawings on tracing paper. Sheet size primarily 24" x 27". 7 sheets. Job #00107. James Hansen Hjul (1882 - 1957), a structural engineer, constructed many buildings in San Francisco. He was the founder of the J.H. Construction Company and was listed as a contractor, civil engineer, structural engineer and construction engineer in San Francisco City Directories from 1907 to 1958. Most of his work occurred in the South of Market area on warehouses and industrial buildings.The historic preservation architects Page & Turnbull did an extensive analysis of this building on Sept. 21, 2005. BRUCE ROGERS. ; LAWRENCE T.E. Translated by T.E. Lawrence. 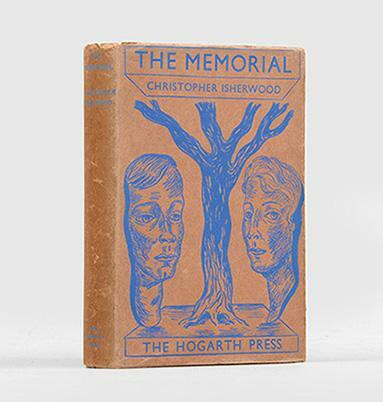 Illustrated with decorative roundels printed in gold, by Bruce Rogers. One of 530 copies. Small folio, original black morocco. T.e.g., others uncut. London, Printed and published by Sir Emery Walker, Wilfred Merton and Bruce Rogers. Les lunettes du lion. Illustré de lithographies en quatre couleurs par Edy Legrand. Milwaukee: Casanova Press, 1932. Tall 8vo. 53,  pp. Photographic portrait of Faulkner mounted as frontispiece. 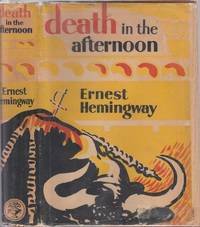 Original printed wrappers, the rear wrapper printing Ernest Hemingway's poem "Ultimately"; publisher's board slipcase. Light rubbing to slipcase, a pale offset on endpapers; the book bright and fresh. FIRST EDITION, LIMITED ISSUE, number 483 of 525 numbered copies. 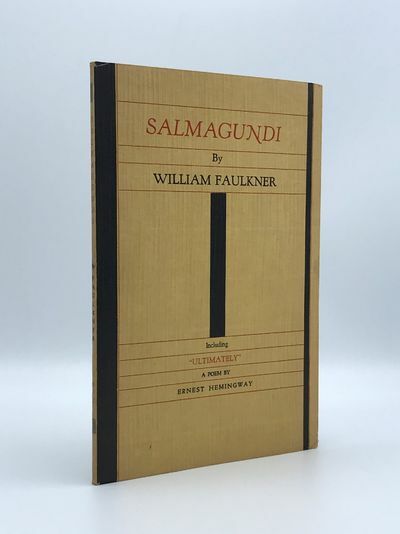 In addition to Ernest Hemingways four-line poem Ultimately, printed on the back cover, Salmagundi contains five poems and three prose pieces by Faulkner: the poems "The Faun," "Dying Gladiator," "Portrait," "The Lilacs" and "L'Apres-Midi dun Faune," and the prose pieces "New Orleans," "On Criticism" and "Verse Old and Nascent: A Pilgrimage." Massey 753; Petersen A11a. An unusually fine copy. 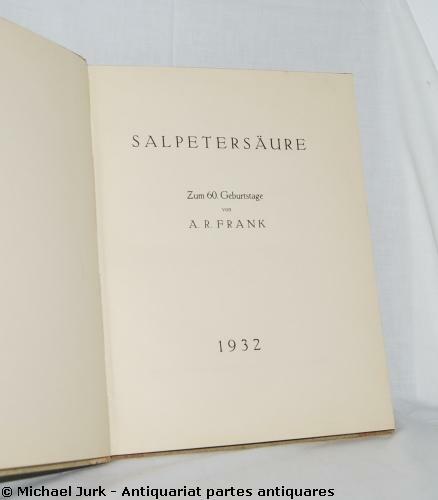 San Francisco, California: Harvest Press, 1932 Limited edition of 1 of 125 copies. 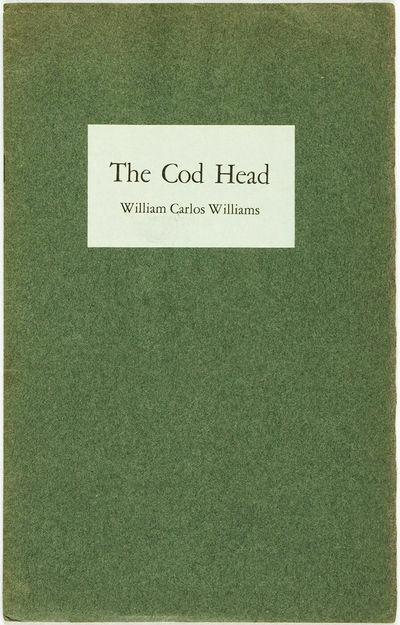 Signed by William Carlos Williams. Original wrappers. Bookplate, minor wear, else book in fine condition. From the collection of California bibliophile Melba Berry Bennett. London: Chatto & Windus, 1932. 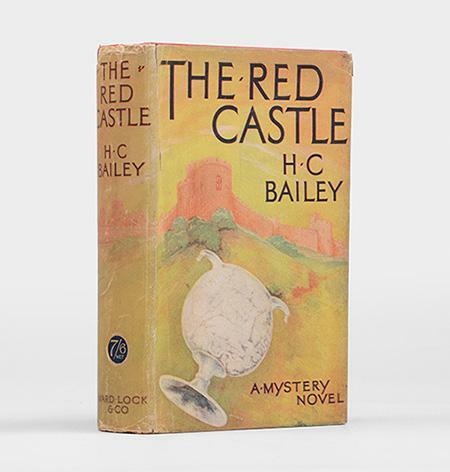 First edition of the Huxley's masterpiece. Octavo, bound in full morocco, gilt titles to the spine, raised bands, gilt ruled to the front and rear panels, all edges gilt, marbled endpapers. In fine condition. A very nice presentation. "A nightmarish prognostication of a future in which humanity has been destroyed by science... easily Huxley's most popular (and many good judges continue to think his best) novel" (DNB). "After the success of his first three novels, Huxley abandoned the fictional milieu of literary London and directed his satire toward an imagined future. 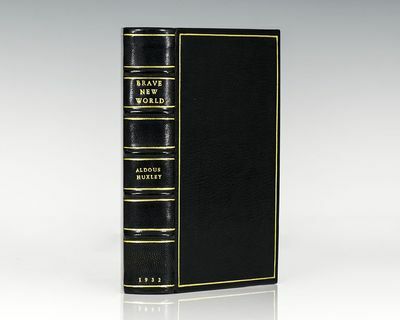 He admitted that the original idea of Brave New World was to challenge H.G. Wells' Utopian vision... 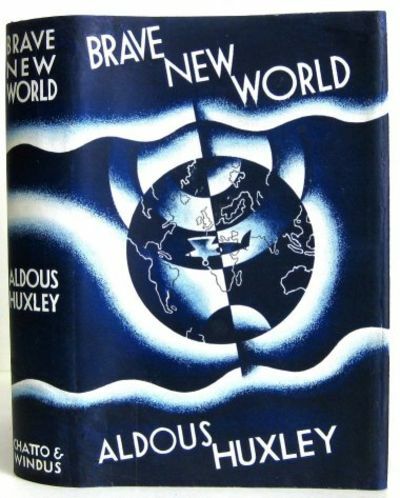 The novel also marks Huxley's increasing disenchantment with the world, which was to result in his leaving England for California in 1937 in search of a more spiritual life. The book was immediately successful" (Parker & Kermode, 161-62). Named by Modern Library as one of the 100 Greatest Novels of the twentieth century. Ferreres, Ioanne B, P., S. I.
Sofia: Izdanie T. F. Chipev, 1932. First edition. Small octavo (17.5 × 12.5 cm). Original pictorial wrappers by Sirak Skitnik; 110,  pp. Signed and inscribed by the author to half title. Wrappers with light wear and dust-soiling; old shelf-label to rear wrapper; a few pages unevenly cut open; occasional foxing; overall still good or better. 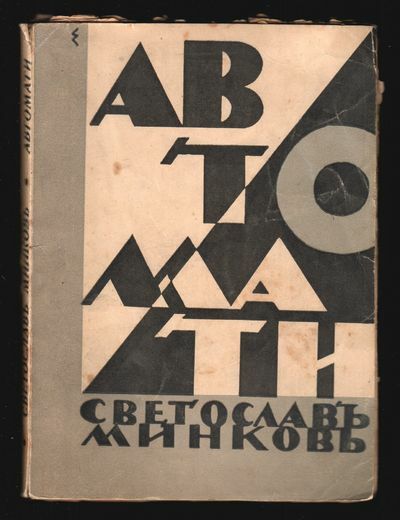 Sirak Skitnik's cover for this collection of fantastic stories ranks among the high spots of Bulgarian avant-garde book design and constructivist typography. Skitnik (the pseudonym of Panaiot Todorov, 1884-1943) was one of the most productive (and iconic) graphic artists of Bulgarian modernism, whose work ranged from the Expressionism of the early 1920s to Constructivism in the early 1930s. Svetoslav Minkov (1902-1966) began his career as an Expressionist and absurdist writer, pioneering the "diabolist" genre in 1922 and introducing German "supernatural" fiction into Bulgarian literature, after being influenced by the circle around Kubin and Meyrink during an extended stay in Munich (see Domenico Jacono, Bulgarian modernism, p. 64). This collection consists of five science fiction stories that combine absurdist elements with social satire and would lay the foundation of the genre in Bulgarian literature. Jacono 44. KVK, OCLC show at Cleveland Public Library and Harvard only. New York: Robert Hamilton & Associates, 1932. Limited Edition. Hardcover. Very Good+. 323 pp. ; 733 pp. ; 1021 pp. 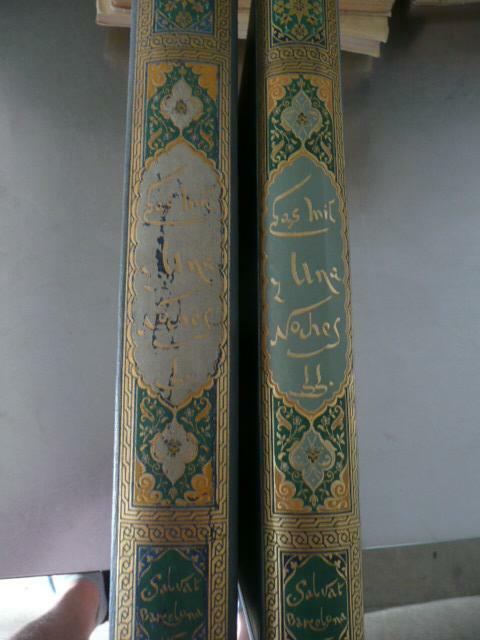 3 volumes, bound in tan cloth with the spine in green leather, and the top textblock in gilt. The front boards have a gilt border and the titling is in gilt. 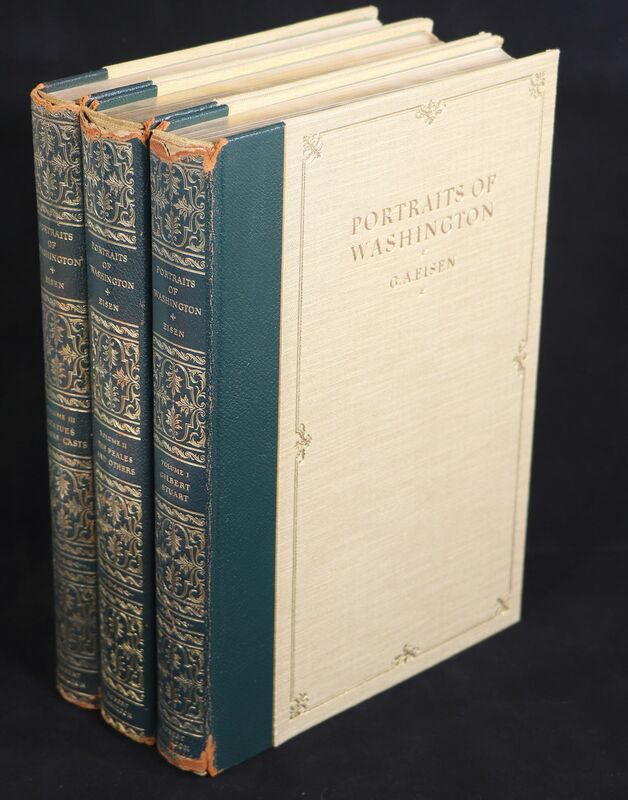 A complete set of the portraits of George Washington, including oils, watercolors, pastels, drawings and sculpture. All plates present, but the set lacks the slipcase. Signed by the author on the limitation page in Volume 1. Number 92 of 300 sets. A Very Good+ set with wear at the crown and the heel of the spine, and several tiny stamps of a former owner on the free front endpapers. London: John Murray, 1932. FIRST EDITION. With 20 plates of photographic images, numerous text illustrations, and 2 folding plates. Original cloth, dust jacket in good condition with some soiling, nicks, and minor loss to upper and lower spine and back cover, plus pencil markings on the back cover and back flap; interior very good, with a few notes in pencil by a previous owner. With the bookplate of Arnold Thackray on the paste-down. 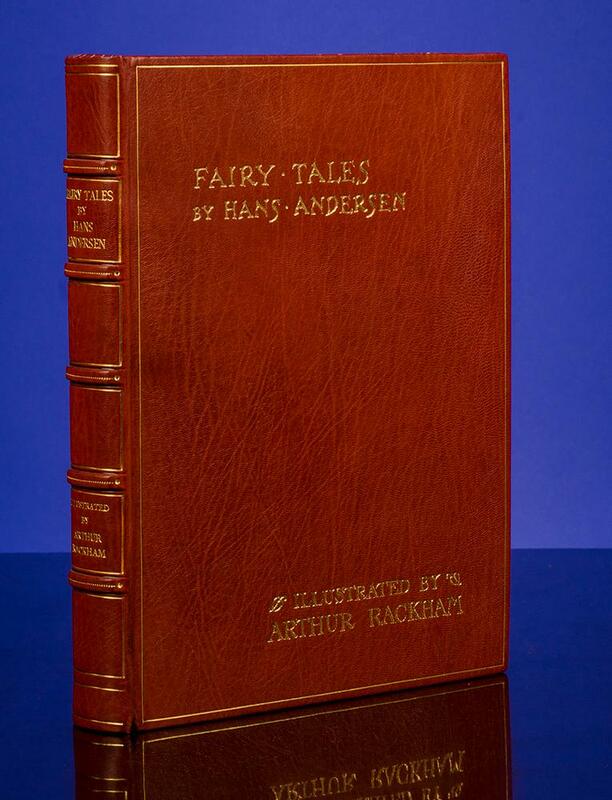 First edition of one of the author's most important works. This book was intended to appeal to the general reading public as well as students of science and discusses radioactive elements and isotopes in addition to the "wider application of these fundamental discoveries." 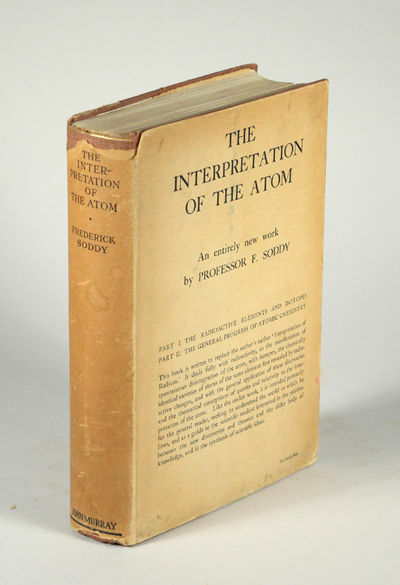 Soddy (1877-1956) was awarded the 1921 Nobel Prize in chemistry for his contributions to our knowledge of the chemistry of radioactive substances, and his investigations into the origin and nature of isotopes. New York: W.W. Norton and Company, Inc., 1932. Hint of shelf wear, else a crisp, fine copy, in a close to near fine jacket, lightly soiled, with a few nicks and short edge tears, tanned at the spine. Pleasing example of a book uncommon in any jacket.. First Edition. Square quarto. Inscribed by the publisher, W.W. Norton, to a Mrs. Hand: "Dear Mrs. Hand / The McGraw-Hill / Building is on page 137. / WW Norton." Landmark catalogue issued in conjunction with the groundbreaking exhibition of new architecture at the Museum of Modern Art, 1932. 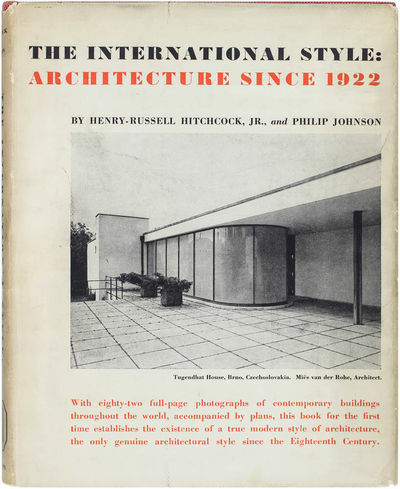 Profusely illustrated with over 80 photographic examples of modernist buildings and interiors from 1922 to the time of publication. Most surveyed buildings include floor plans and analytic text. 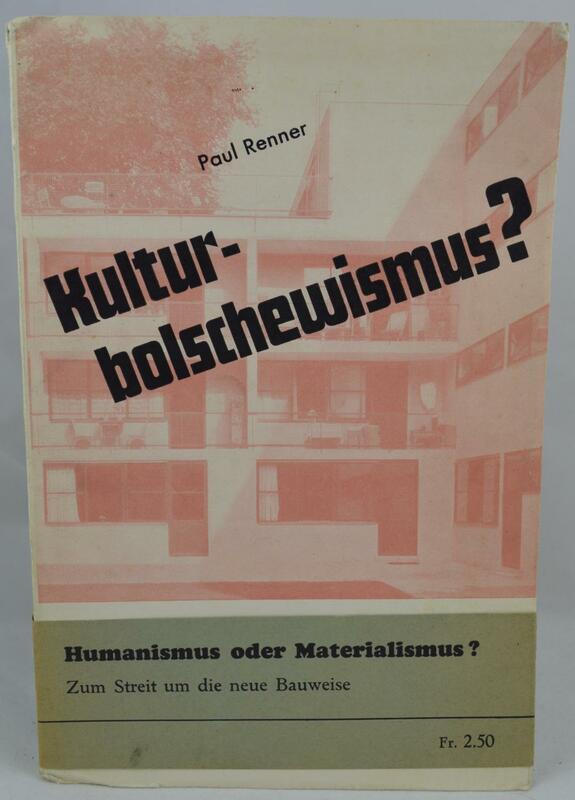 One of the seminal architectural texts of the 20th century. Limited edition. #537 of 1500 copies. (First published in 1865.) Full red leather, ruled and decorated in gilt. All edges gilt. 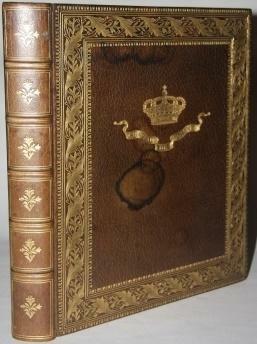 Typography and binding by Frederic Warde who has signed the limitation page. One of about 500 copies (it is reckoned) with a leaf bound in at the front bearing the signature of Alice Hargreaves. 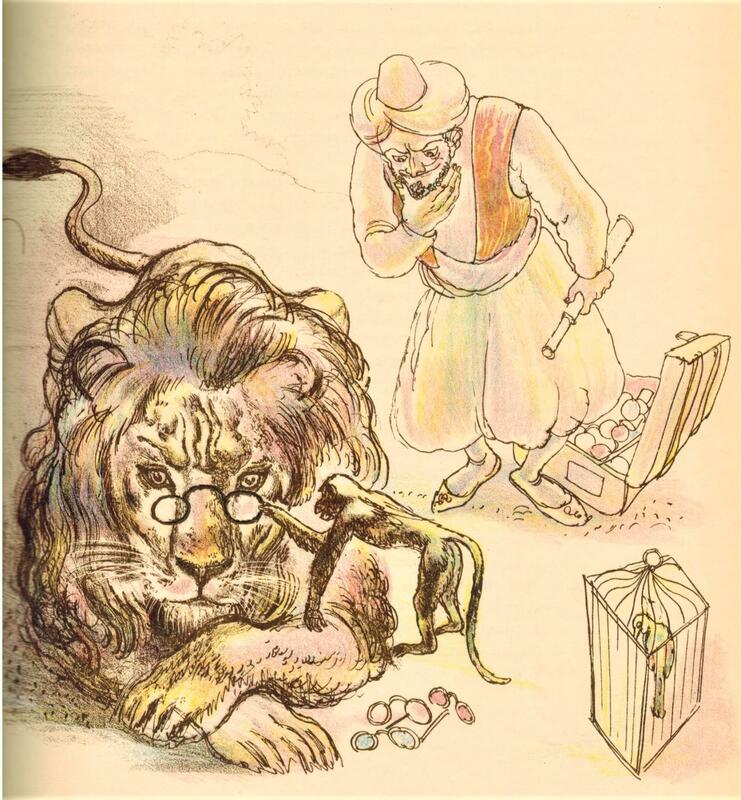 Illustrated by John Tenniel. Spine slightly faded. Near fine.Alice Hargreaves, née Liddell, (1852-1934) was the original Alice. One of the noted highlights of The Limited Editions Club, these signed copies are particularly special. A lovely copy. 1932-1973 1932 - A guest book with entries by the cream of High Society, including Doris Duke, Wallis Simpson and Edward VIII, Perle Mesta (the "Hostess with the Mostess"; the entry was made while she was the Ambassador to Luxembourg), Millicent Hearst, Hohenlohes, Armours, and on and on. 4to. 32 by 26.5 cm. 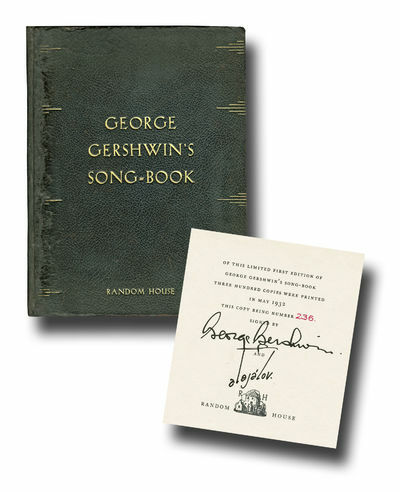 Over 230 pages chock-a-block with the inscriptions, followed by about 50 blank leaves. The chateau was a setting where super-rich Americans hobnobbed with European aristocrats, not a few of whom were originally American. Some other names we recognize: Marjorie Oelrichs, who married bandleader Eddy Duchin and was the mother of Peter Duchin, actress and then ur-interior decorator Elsie de Wolfe (signing as Elsie Mendl), decorator and Edith Wharton collaborator Ogden Codman, Margaret Copley Thaw -- the Countess of Perigny, A. Hamilton Rice, an Amazon explorer and husband to a Widener widow, various Houghtons, Brokaws, Dillons (including Douglas), Lewisohns, etc. It is a safe assumption that virtually all the guests were very wealthy, or believed to be, or very socially connected, and the names that may today be obscure would have been widely known from the society pages back when. Many of the guests were repeat visitors. Occasionally a guest would not just sign his name, but would write a short appreciation, a bon mot or stab at wit, sketch something cute, or the like. Also coming with the album are several pieces that were always separate but probably always resided within its cover. The owner of the Chateau until her death was the Princess Kozebue (1872 - 1955), né Allene Tew, of Wisconsin. Her fourth husband was Prince Heinrich XXXIII Reuss of Köstritz, who for a short period, prior to the birth of Princess Juliana, was the heir to the Dutch throne. They divorced in 1935, but Allene remained close to the Dutch Royal family, becoming the godmother of the current Queen Beatrix. A year after this divorce Allene married Russian nobleman Captain Count Pavel Kotzebue (1884 - 1966). In the album, it would seem that the Prince and Princess were known to friends as Wally and Kitty. The Gruel binding is a highly decorative full brown morocco, with a wide border band of interlaced leaves, ruled lines and tiny tulip buds. In the center is a gilt crown and a ribbon flourish below bearing the name, "CHATEAU DE SUISNES", etched out of the gilt. The spine compartments, between the raised bands, have floral devices. The endpapers are a green silk moire. Thre are a few round stains on teh front board -- only one stands out -- probably from a resting cup. The hinge is cracked near the front, with an unlovely tape repair. Still, a most attractive album befitting a grand chateau. Limited edition. Number 223 of 275 copies. Half tan morocco, gilt, with terracotta printed cloth boards to a design by Ravilious. Bound by Sangorski & Sutcliffe. Top edge gilt, others untrimmed. With 29 engravings by Eric Ravilious. Spine slightly faded and rubbed. Cloth darkened along the leather (as usual) with a short scratch to the upper board. Bookplate on front paste down of W. and P.J. Kupfer. 'Printed and published by Robert and Moira Gibbings, assisted by George Churchill, and completed on the 12th day of April, 1932.' Single leaf flyer for 'Golden Cockerel Books for the Spring' loosely inserted. One of the finest productions of this press.